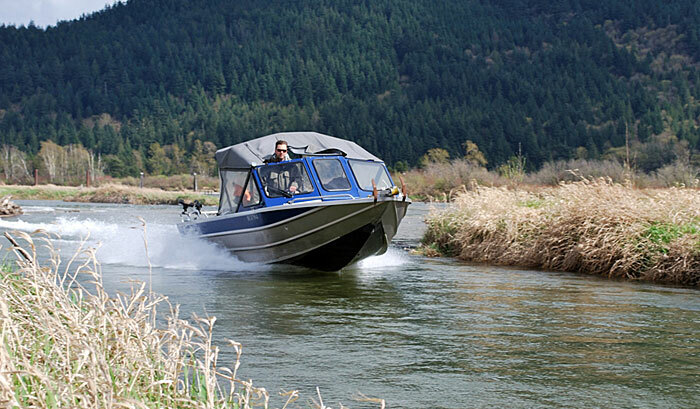 The Harrison River is the single largest salmon-producing tributary of the Fraser River system. All 5 species of salmon enter the Harrison River to spawn and this often means that in-season, multiple species days can be had. Not only does this river boast its Salmon run it also has an incredible Trout fishery as Sea-Run Cutthroat Trout enter the river starting in March as they feed on the salmon minnows. Spring marks the time that new life begins for the Salmon’s offspring; this is usually sometime in March and peaking towards the end of April. With this newfound birth comes a bonanza of food in the form off salmon minnows. Thousands of gorgeous Sea-Run Cutthroat Trout come in from the Pacific to lunch on these hapless victims. Averaging around 14 inches these trout are known for their aggressive takes and great fun on light tackle. 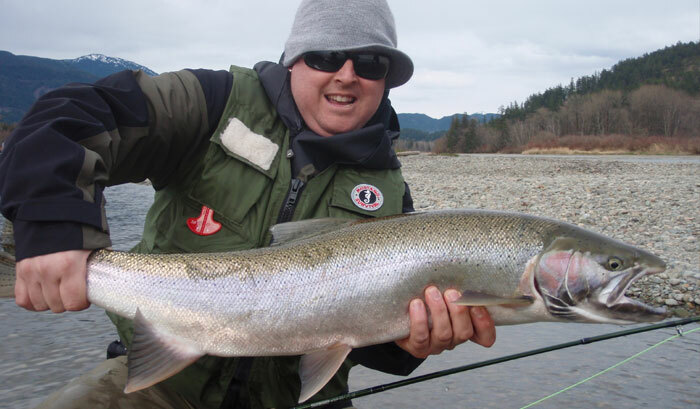 Salmon fishing on the Harrison River is an incredible experience. With Millions of Salmon migrating through the system each year there is overlap allowing you to target multiple species in one day. These annual salmon migrations provide some of the finest and most exciting fishing opportunities for you if you are seeking the thrill of hooking into one of these hard fighting fish. Sockeye Salmon are the first to move into the Harrison River in August and continue to enter until the end of September. These chrome beauties are an amazing experience to catch! 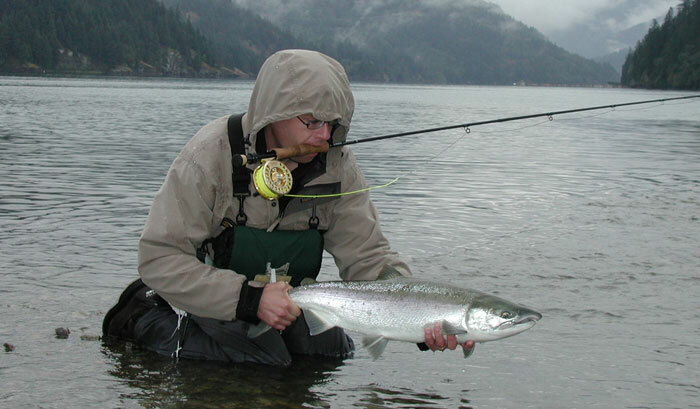 Chinook Salmon enter the river year round although the most fishable time is usually October and early November. These are the biggest of the big often-exceeding 30lbs. Timing is everything with Chinook salmon as most of these brutes use the Harrison as traveling grounds and a “run” of fish can easily push through in a few days. A battle with “The King” challenges even the most advanced angler. Chum Salmon are next entering towards the end of September and peaking around the third week of October. These brutes are some of the largest in the world often topping 20lbs. They respond very well to the fly and large fish are the norm when targeting this species. 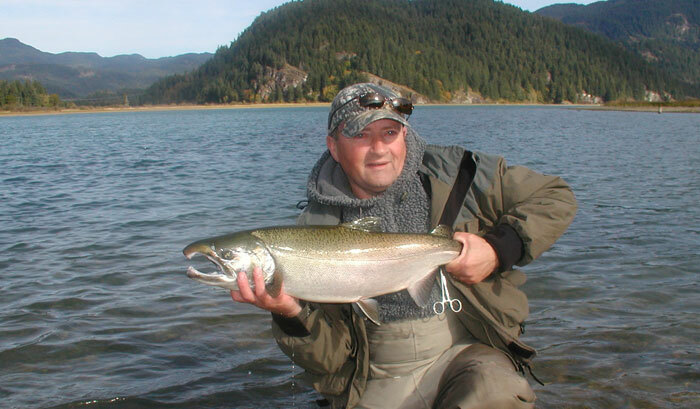 Coho Salmon begins to filter into the system in the beginning of October. 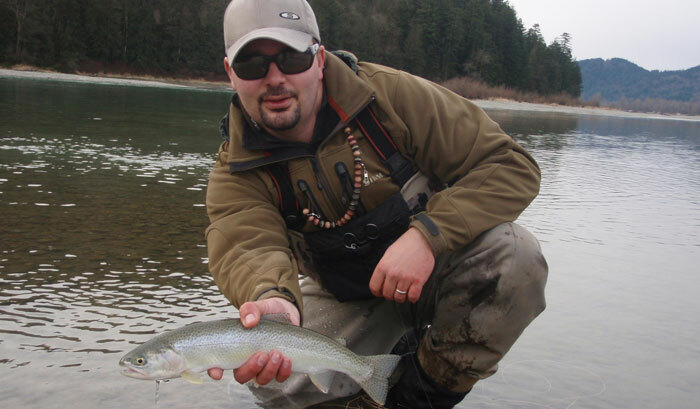 These fish represent the pinnacle of success for the Harrison River fly fisher. 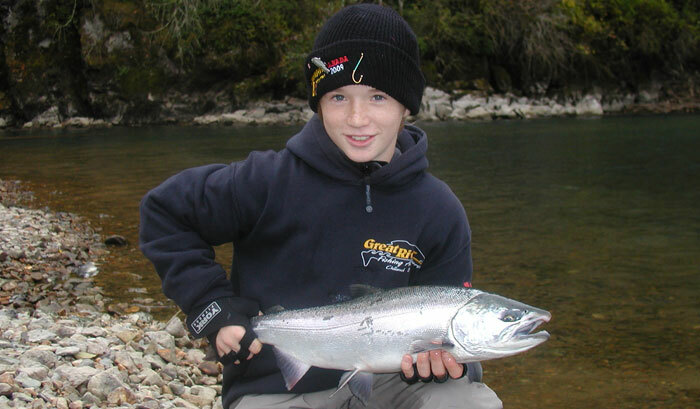 The spookiest and toughest to catch, the Coho Salmon is the “trophy” fish of the river. When “in the mood” Coho Salmon can become reckless takers, often chasing flies for some distance or making surface attacks in plain view. Are you up to the challenge? Pink Salmon can be found entering the system in huge numbers – in the millions – on odd years… 2013, 2015, etc… towards the end of August, peaking towards the end of September. These are some of the most aggressive salmon you will ever find. Although not huge they make up for their smaller size in their sheer willingness to attack and stunning numbers. Decide when to book your next fishing adventure with us! It’s like battling a cross between a marlin and a freight train! Learn more about our STURGEON FISHING TRIPS! Fishing Reports, News, videos & more from the River. click to READ NOW!